The Voter Information Association (VIA) is a team effort to develop a service that would allow every eligible voter to be fully educated on local/state/federal ballot measures. 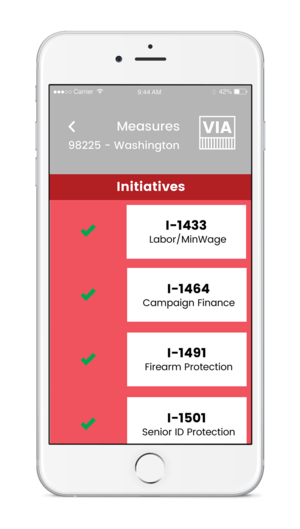 We wanted users to be able to have a fundamental grasp on the issues that they will vote on without needing to wade through the complicated, often extremely long voter pamphlets. 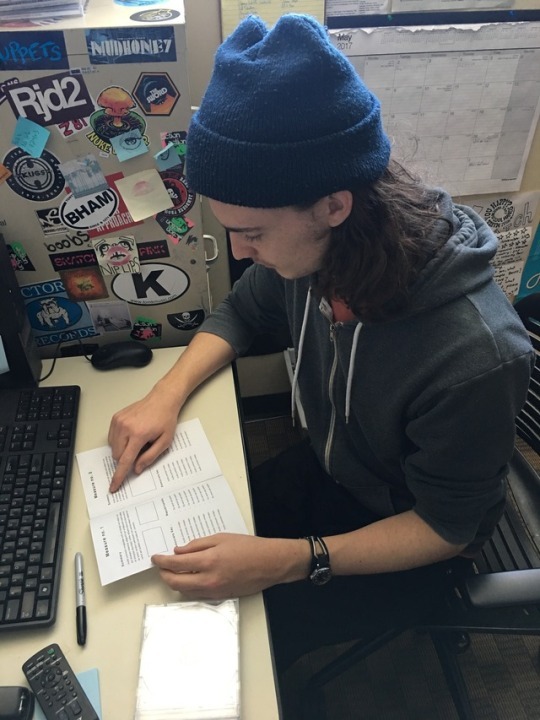 Create a system that distributes information to Washington State voters to help them make informed decisions. This system should be accessible to people both digitally and in person. Citizens experience a general lack of transparency during the process of voting resulting in a lack of trust in said processes. Ranked #139 out of 172 countries when it came to voter turnout for elections. There are 13,000 election jurisdictions overseen by county and city officials, but there are not many commonalities between the jurisdictions. Individuals fill out forms themselves and a centralized system maintains a national database. Voting is compulsory and there is a $20 fine for those who fail to vote. Encouragement to vote is very in-your-face with presence on citizenship forms, during school final exams, and whenever someone moves houses. Automatic enrollment: maintain a national database that includes the name, address, place of birth, and marital status of each individual. Electoral Authority then sends proof of registration to each eligible voter, which contains the address of the correct polling station and its hours. Diversifying methods of voting, when done right, can be an effective way to give voting access to more people. 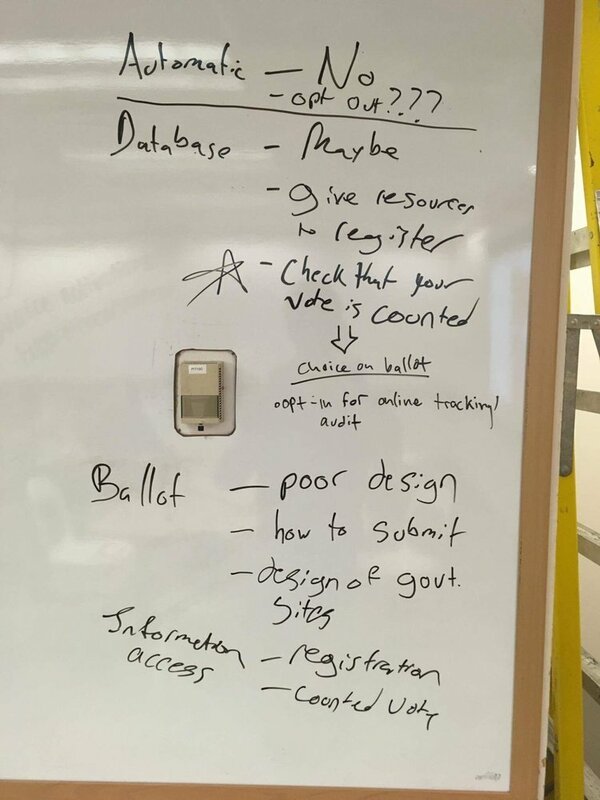 Allowing voters to access information about registry, measures, and other voting related tasks leads to higher voter turn out when combined with the Australian idea of heavily encouraging people to vote. The voter pamphlets are an issue that is unequal and unsustainable in such a large country. Initially we thought that standardization of forms should be the first step in solving this problem, but legal constraints made that nearly impossible. Citizens experience a general lack of transparency during the process of voting resulting in a lack of trust in said process. One major breakthrough that came about in this phase was our discovering a purpose. We came up with two keywords to help guide our decision making process, accessibility and awareness. We decided that a three part systemwould be the most effective way to achieve our goals. Pop up kiosks will be put up at various high traffic locations during election season. These kiosks will also be put in areas where users may not have easy internet access (i.e. homeless shelters, libraries, food banks). Volunteers/staff will answer questions and provide resources for the public. The website and app we are creating will have similar functionality to the kiosks but in a way that is more effective for those that are digitally minded. 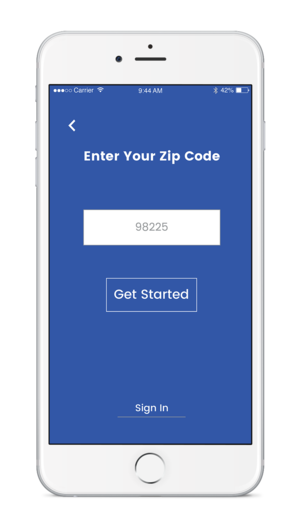 The website and app will display partisan information about ballot measures, give people the option to fill out a ‘mock ballot’ and shows them the locations of ballot drop boxes in their area. 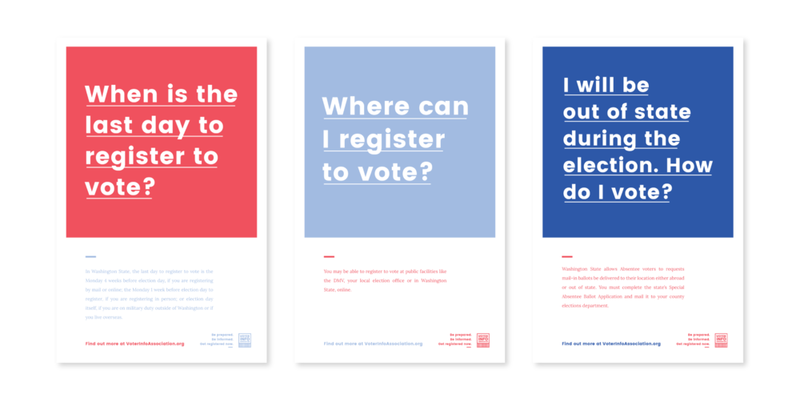 A system of voter pamphlet information posters and general/election awareness campaign posters available at the kiosks and online. This campaign would be underway during election times and close to registration deadlines. All information provided in the different components of our solution will be fact-checked and clearly cited. Measures will show information about how Progressives feel and how Conservatives feel about the measure. This allows us to bypass the complication of users needing to decipher information that appears to be nonpartisan. This task often leaves users feeling confused and skeptical. Clearly labeling information as partisan allows users to make decisions based on their own political leanings without the fear of receiving misleading information. We focused our resources on testing the two main aspects of our service that would actually be in the hands of the user. While using the kiosks, the users will be guided by staff an volunteers, but the pamphlets and the app will be mostly used while the user is alone. We need to add some sort of pseudo data visualizations. Right now those elements are represented by empty boxes. More detailed visualizations will allow for clearer affordance of what those items are and what they represent. We also forgot to add yes or not check boxes to the bottom of each page, which really impeded some of our early rounds of testing. It could also be useful for us to provide the user with a description of what we are trying to accomplish through the pamphlet. Ideally, the attendee at the VIA kiosk will walk through the pamphlet with the user. While this isn’t necessary and the pamphlet should function without an attendee, it’s important that we examine the attendee’s role. What are the attendees duties? What sort of advice can they offer? What potential do they have to sway the user’s opinion and how do we avoid this? 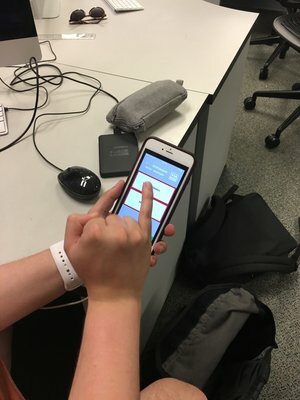 More affordances that tell the user what to do next will help them to understand the virtual space that they are in when interacting with the app. This will come in the form of buttons with helpful phrases like ‘next step’ and icons that let the user know when they have completed one portion of the apps purpose. Given that much of this app centers around filling out a ‘mock ballot,’ clear navigational elements are essential to let the user know where they are at. 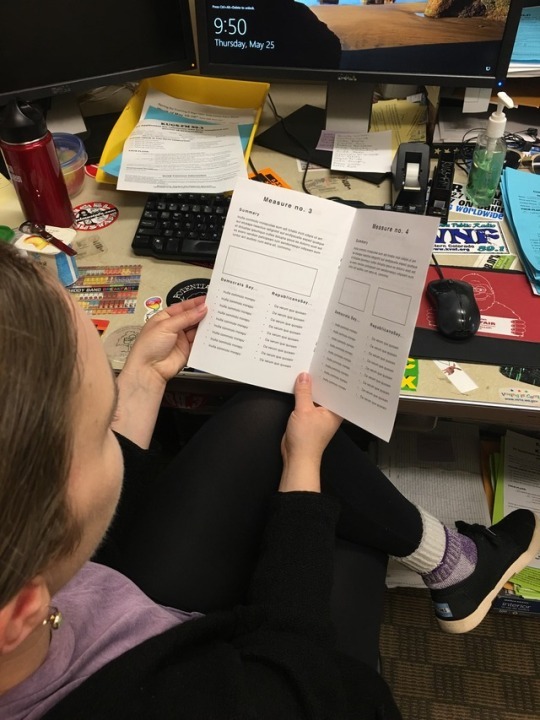 Navigational elements will also help the user to understand that they can access other pieces of information outside of filling out a mock ballot. 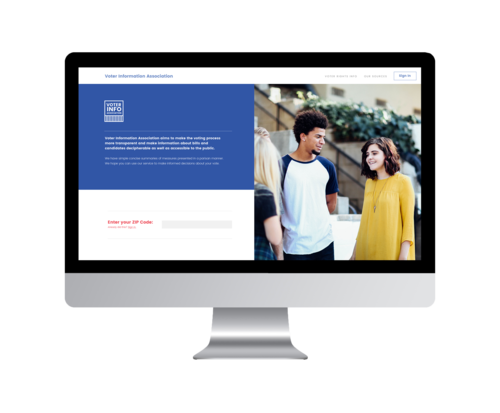 We wanted all branches of our service to look and feel cohesive. Because our goal was to make users feel more at ease and informed, we needed to make sure there was as little confusion as possible when it came to how users interacted with all aspects of our service. 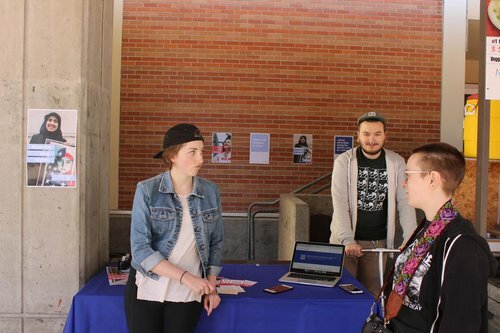 To increase voter trust through human engagement and provide accessibility to those who may not be able to obtain information through other means. To make information as accessible and convenient as possible for users who have internet access. This part of the system allows users to pause and return to their process at any time. ncreasing awareness through uncomplicated visuals in high traffic areas and ecouraging users to seek out other services VIA provides.